HOWELL-Police are investigating an incident here where a suspect followed a woman home from the grocery store and followed her to her garage before fleeing yesterday, but was startled by the woman’s dog. 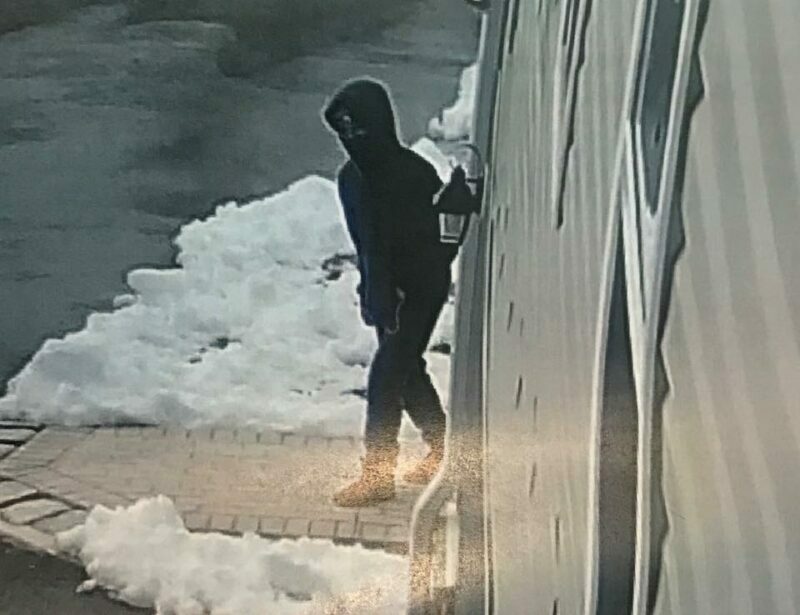 A vehicle was observed via the woman’s home surveillance video, parking in front of her residence after she arrived home from the grocery store. Police are not certain at this point that she was being followed, but the video provided enough evidence for police to investigate. The video shows him looking into the open garage. The homeowner was not aware of his presence until review of the video. The homeowner then looked out into the front yard and observed the suspect fleeing the area in a black Honda Odyssey minivan. The subject was dressed in all black including a mask covering his face. The incident occurred on Michele Boulevard, which is at the Howell and Lakewood border. Howell Police are asking anyone who may be able to identify the subject to contact them. Han’s video’s of the incident are below.